The kids are getting older now and we need less and less things to travel with us. There is no more packing playpens and two diaper bags for the little ones. 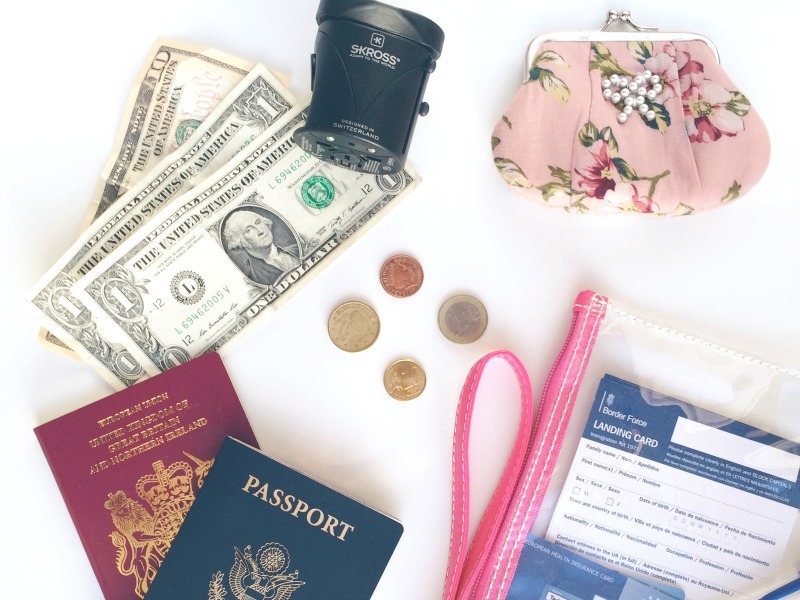 There is no longer a need to take half the house with us and with that in mind while Missy Moo is under two years old and before Buba starts school we have numerous travel plans for the year. February will find me with some of my ultimate favorite girlies with a trip to Sherwood Center Parcs for my very first girlie spa holiday ever! I can’t wait. To say I am excited is an understatement. March is full of excitement with my mother coming over from the states for her 60th birthday and we are hoping to take our annual mother/daughter trip somewhere warm. Destination is unknown but the last two were in Florence and Paris. I am thinking possibly Geneva this time. I always like to surprise her. April is a great month for us as Mr P always takes a week off near Easter. We are flying over to southern France to visit our friends that live there. They have two young children Buba and Missy Moo’s age so its always a fun time there. (Although an incident of Buba’s finger getting cut off on our last visit and having to have surgery to put it back together was unforunate). May usually is a quiet month for us but I have just found out that my brother is flying over. His first time ever to Europe and other than my parents, my first family member to visit me in the UK. I can’t wait to show him around and give him a trip to remember. Also in May, we are hopping over to Spain for a long weekend to visit our friends that are moving there. We can’t wait to see where they live and their new life. They also have two toddlers the same age as us so it’s always fun to get the families together for all of us. June we say goodbye to the UK again for our two month summer vacation in the states. I love spending our summers back home with my family where the kids have numerous cousins and all our extended family to bond with, play with and make memories together. We are almost always guaranteed the weather where I come from in the summer so the kids pretty much live solely outside in grandma and papa’s pool much like their momma. I am sneaking off to Vegas for my best friends’ 40th birthday party while Grandma bonds with the kids and feeds them all the things I never let her while I am present. Our trip to America will bring us right up to the end of August. A time where we will be preparing for Buba to start school. I will be rushing around to make sure he has everything he needs. Phew! We really are packing in as much as we can while we can because when Buba starts school and Missy Moo turns two everything, travel wise, changes. Then we are subjected to school terms and extra seats on the plane. The price of our holidays will all the sudden double with those two aspects in mind. Then we are clear from September to December with no official plans to go anywhere with the lead up to Christmas and all those amazing festivities that we just experienced coming again. After typing all that I just realized how fast this year is going to go! I have been told as soon as the kids start school it goes even faster. That alone scares me. I can’t wait to share all our holiday experiences with you this year. We love travelling as a family. My travel Pinterest board is filling up with destinations on our wish-list when the kids get older. There are just some places its easier to take older children than young toddlers. Follow Let’s Talk Mommy’s board Travelling on Pinterest. What are your travel plans this year? Do you have a child starting school soon? If so, do you have any grand last trips or adventures planned before they start? Wow you have some amazing plans for this year – and I think you’re right that it’s going to go at light speed! I hope you find somewhere really lovely to go with your Mum, that sounds like a really special trip. Thanks Carie. It really is every time we do it. I love going on trips with just me and her. We always have the best time as we both like being adventurous. N and I were just chatting about this today, I feel like we should make the most of it before school starts but also I would prefer Flixster to be a little older before we go long haul again. So in conclusion I don’t know what we’re going to do! You however seem to have lots of lovely plans in the pipeline! Can’t wait to read about them! Thanks hun. Yes we have been extremely organized this year. Makes me feel calm knowing things are going on and planned. We did plan on going on a family day holiday this year but I think it won’t happen for another 2 years now considering number 2 is on the way in 4 weeks. If we do go away, then it will be locally. That sounds like a grand las vegas trip. I can’t wait to go to vegas I used to work for a doctor and we went all the time it was fab for our “conventions” there. So got to see vegas alot in my twenties. lol Yes I am VERY excited this year for america as MM will be old enough to enjoy it more. We love our summers in the states. I can’t wait to share it all with all of you too. That’s awesome. Do you have ideas of where you want to go???? I love planning vacations in January gives you things to look forward to. Exactly why we still have the time and money we are off as much as possible. September it will be expensive and tied to school holidays and I will be in your boat hunny. Boo. what an amazing year it’s going to be for you! and yes, make the most of this time before school as it really does fly after that – my eldest told me on new years day that he will be 16 next year – now that IS scary!